Well here it is, Monday morning afternoon. My beercation ended, I’m back at work. I arrived back in Knoxville yesterday evening. After filling up all my beer fridges with the spoils of my Bruisin’ Ales purchases, I settled in for a long 8 1/2 hours of solid “back in my own bed” slumber. 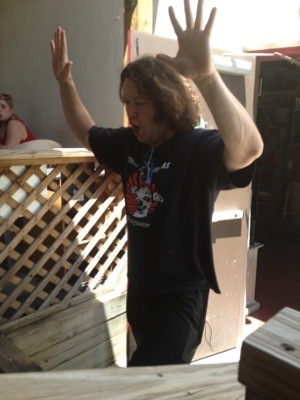 I truly had a great time in Asheville. According to my Untappd check ins, I had 68 unique beers during the 5 days I was there. That’s not counting beers that I drank, but had previously logged into. 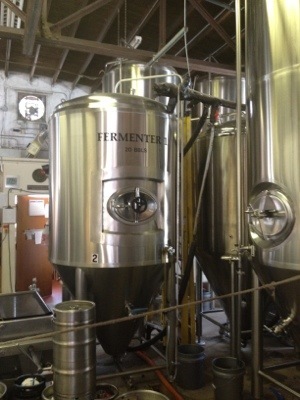 I also posted to this website every day of my beercation. Here is Wednesday, Thursday, Friday, Saturday and Sunday’s post. I want to thank the Asheville Beer Week Committee for doing a superb job of organizing events and promotion for beer week. I want to give a big shout out to everyone I met this week, and all the new friends I made. Thanks for the retweets, the invites, the converstations and the toast. Beer isn’t what makes Asheville great. It’s the people behind the beer. 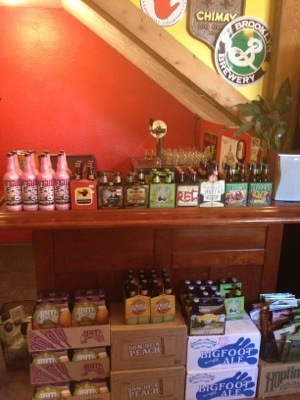 That being said, I want to recap the last day of my Asheville Beer Week beercation. It started with me going to the lobby of the Hotel Indigo and buying a cup of coffee. I got the website updated, went back upstairs and started packing. I had to figure out how to get everything in the car, and still have access to put things in the cooler. 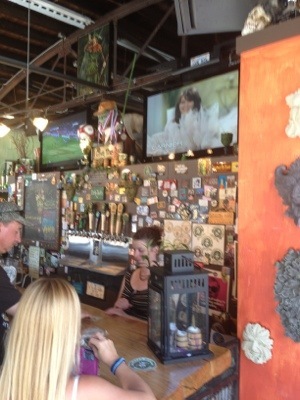 After the car was packed, I headed to Asheville Brewing Company at Coxe Avenue. I had brought a few bottles of my homebrewed Rauchbier for Mike. When I saw him at Beer City Fest, I asked how I could get them to him. He said that if I dropped it off in the walk in cooler with a note that he’d get it and share it with Doug. So I did that and I headed to Bruisin’ Ales for a little more shopping and to say goodbye to Julie, Jason and the crew. I made my last minute purchase, including a cool bottle to drink on the bus tour. I put everything in the my remaining cooler space in the car. I then realized that I had less then 10 minutes to get all the way down the block on foot for the LaZoom Sunday Beer Run. Bruisin Ales, or as I like to call it “Heaven”. 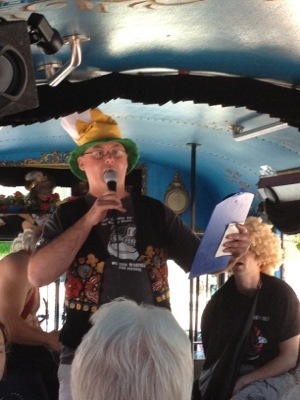 Let me stop right here and tell you about the LaZoom Comedy bus tour. Everyone loves them. 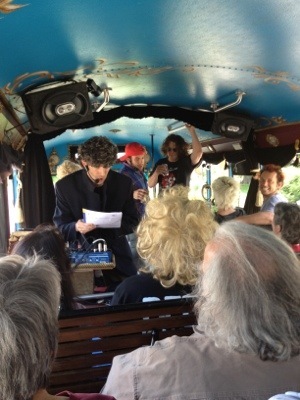 They do a regular comedy tour of Asheville that is highly rated. Mary and my son, Orion went on the tour on Saturday while I was at Beer City Fest and they had a great time. If you ever go to Asheville, this is a must do. For Asheville Beer Week they teamed up with a local comedy group, the Feral Chihuahuas to do 2 special Sunday Beer Run tours. One on Sunday May 27th and one on Sunday June 3rd. Knowing that I was leaving on Sunday, I thought this would be the perfect end to my beer week experience. I was not disappointed! 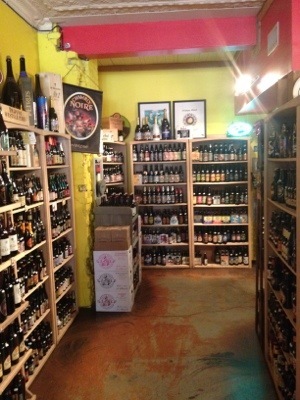 I jogged all the way (with beer in hand) from Bruisin’ Ales to the bus pick up point at French Broad Co-op. 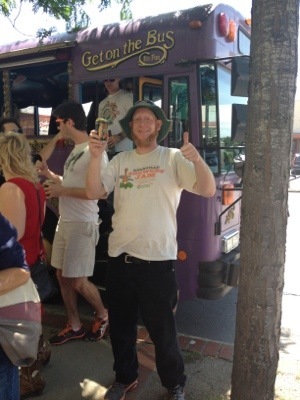 I got there and as soon as I got on the bus I saw Mike and Allison from Asheville Brewing Company. I sat right next to them on the other side of the isle. I told them about the beer I just dropped off for them. They were grateful. 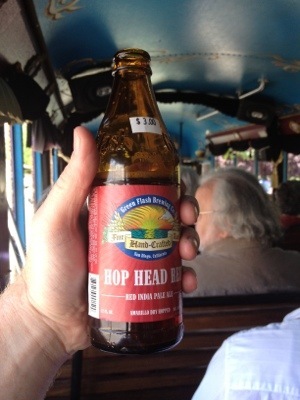 I forgot to bring a bottle opener for my beer, but knowing that it was a bus full of drinkers, all I had to do was ask. Mike gave me his Asheville Brewing Company credit card sized bottle opener that I could keep in my wallet so I wouldn’t find myself without one again. 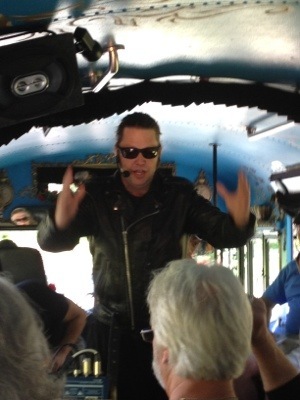 Well the tour started and it was laughs from start to finish. There were skits all the way through. Since it was a beer-centric ride, they had a cooler full of complimentary cans of beer from Asheville Brewing Company and Catawba. 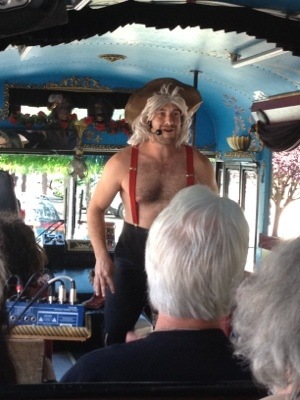 Below are pictures from the tour. “The Procastinator”, he’s from the future. We did drunken ab-libs with him. This guy stood motionless like this for a good 2 city blocks. A prop comic that used really bad beer label puns. 10 minutes until we get back on the bus! 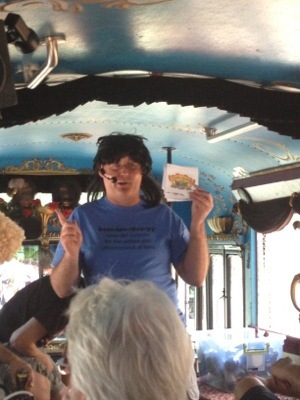 We rode around Asheville while they did skits while stopping and picking up different characters. Both the jokes and the beer were flowing. We had our 1st 20 minute stop at Wedge Brewery, just long enough to have a beer, take a much need restroom break and hop back on the bus. We then drove around while a character with a bad accent called “The Procastinator” told us about the future where he was from. 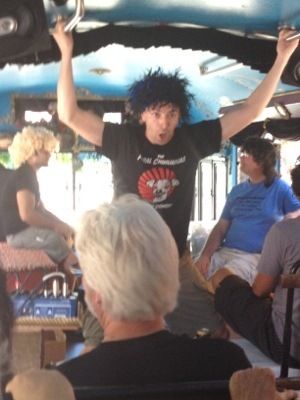 He got words from the riders and we did a drunken version of Ad-libs. 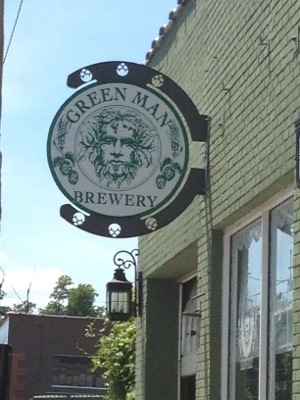 We then stopped at Green Man Brewery where I found out that their tap room is also called Dirty Jack’s. I had yet another beer and some pretzels. 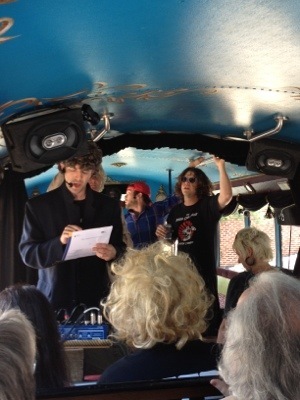 They did one last skit before ending the tour. The told us at the beginning that we could take pictures, but no video recording. Well for the last skit they said we could record it as they presented “The Beerstie Boys”. 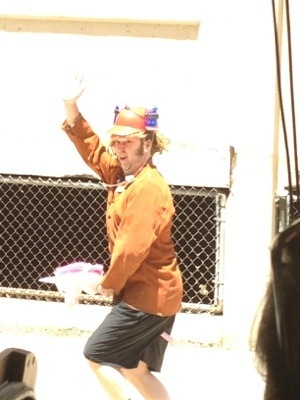 Here it is from the video I took on my iPhone. The tour ended and my face hurt from smiling and my sides were sore from laughing. It was time to head home. Mary and Orion picked me up, but Orion wanted to go to the toy store over on Wall Street. Great! 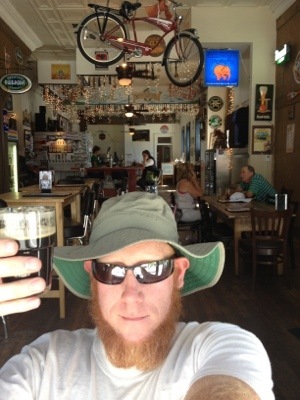 That gave me time for one last beer at The Thirsty Monk before leaving town. 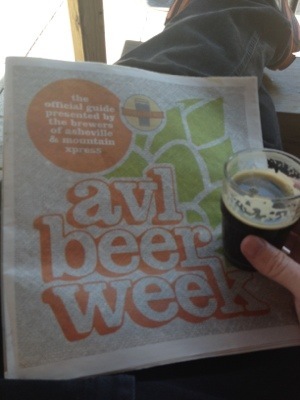 I went and had a half pour of my last official beer of Asheville Beer Week on the front patio. A few minutes later my ride pulled up to the curb. It was really, finally, time to go. I took one last picture as we left downtown and headed towards the interstate. Asheville is such a tourist friendly town. They even printed guides to beer Week. Me on the front patio of The Thirsty Monk, looking in. 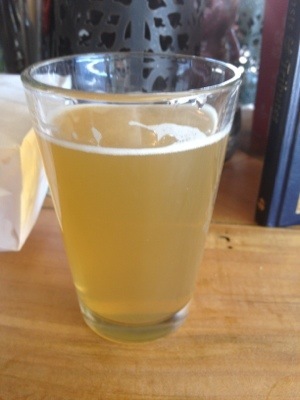 My last beer of Asheville Beer Week. 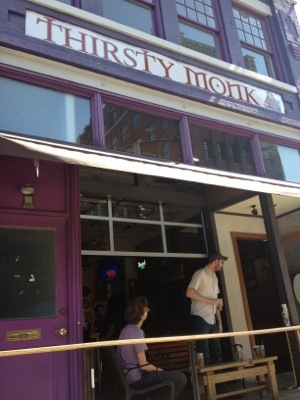 The outside of the Thirsty Monk, where I did a lot of my Asheville Beer Week drinking. I’ll miss Asheville, but I take great comfort in knowing that it’s only 2 hours away and that I’ll return again soon. For now it’s back to work to build back up my decimated savings account so I can come back for my next beercation in Beer City USA. Hope you enjoyed reading these post full of mistakes and typos over that last couple of days. I know I had fun writing them. I’d like to hear from people I met, so let me know your thoughts or just say hi in the comment section below. 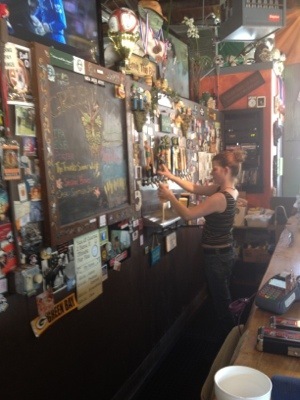 This entry was posted on Monday, June 4th, 2012 at 13:08 and is filed under #AvlBeer, #knoxbeer, Asheville, Asheville Beer Week, Beer City Festival, Beer Festival, beer travel, Craft Beer, home brewing, Knoxville beer blog, Ratchet, Thirsty monk. You can follow any responses to this entry through the RSS 2.0 feed. You can leave a response, or trackback from your own site.